Highlighting how the challenges raised by globalization - from environmental management to financial sector meltdowns - have encouraged the emergence of experts and networks as powerful actors in international governance, the contributions in this collection assess the methods and effectiveness of these new actors. 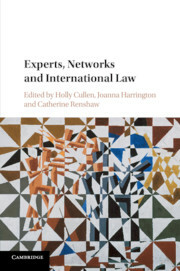 Unlike other books that have focused on networks or experts, this volume brings these players together, showing how they interact and share the challenges of establishing legitimacy and justifying their power and influence. The collection shows how experts and networks function in different ways to address diverse problems across multiple borders. The reader is provided with a broader and deeper practical understanding of how informal authority actually operates, and of the nature of the relationship between different actors involved in policymaking. Through a range of case studies, the contributions in this collection explain how globalization is reshaping traditional forms of power and authority.